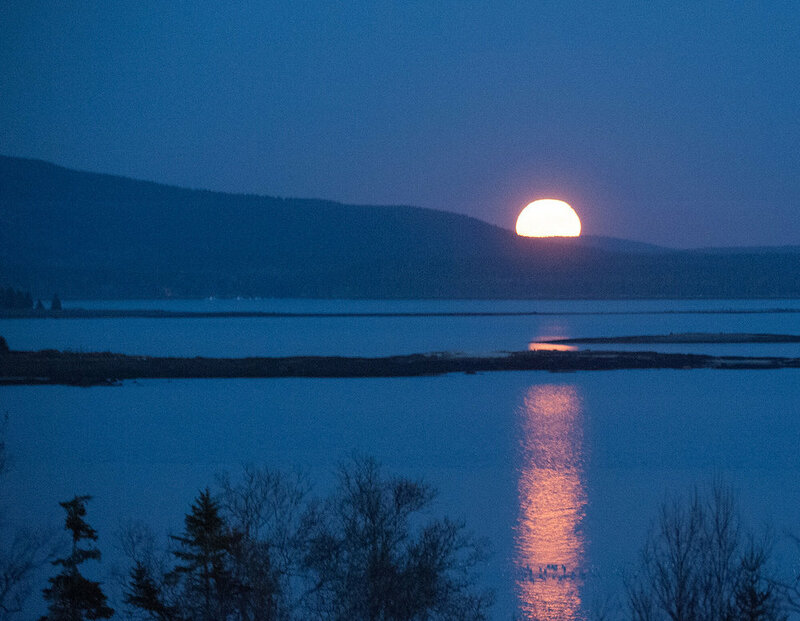 Last night’s rare Super Moon came up like a molten bubble out of the darkness of Acadia National Park across Blue Hill Bay. The last time that we had one in the United States was in 1948; the next time will be 2034. This moon is “Super” because it not only is as close as it will ever get to this country, it’s also full when it arrives. 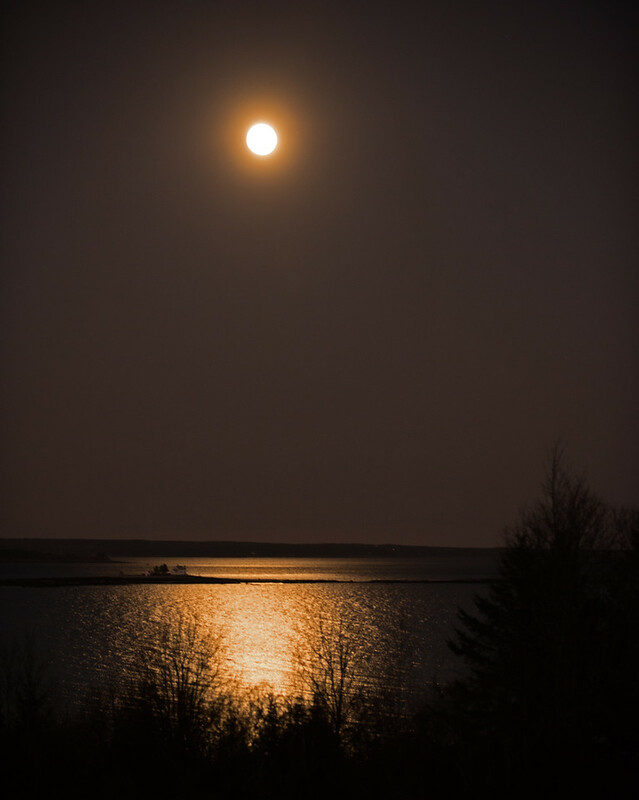 Initially, at lower levels, the sun's light turned the Moon golden. The gravitational pull and push of this close encounter caused low tides that nearly emptied the coves around Brooklin and Blue Hill during the evenings of the 13th and 14th. It also caused extraordinarily high tides in the mornings (almost 12-foot tides). Fortunately for the Brooklin Boat Yard, there were no significant waves, but flood warnings were issued for other areas. As the moon gained height over Brooklin last night, it entered whispy clouds and turned silver. Then, the heavens bestowed on it a golden crown penumbra.